P A X – The Puzzle that is Peace at the Ggantija Temples in Xaghra. Helene Markstein, the installation artist, shall utilise purified Gozo stones to form the word PAX. A short ritualistic dance by the Gozo Perfomance Group will be followed by musical interludes performed a number of local choirs, namely Voci Angeliche, Aurora Youth Choir, Gozo Community Choir and the Gaulitanus Choir. Audience members will also be invited to engage with the communal feeling by penning prayers for this peace process. Gaulitana firmly believes that such artistic projects play a pivotal role in arts festivals as they highlight the impact of arts and culture in our society. 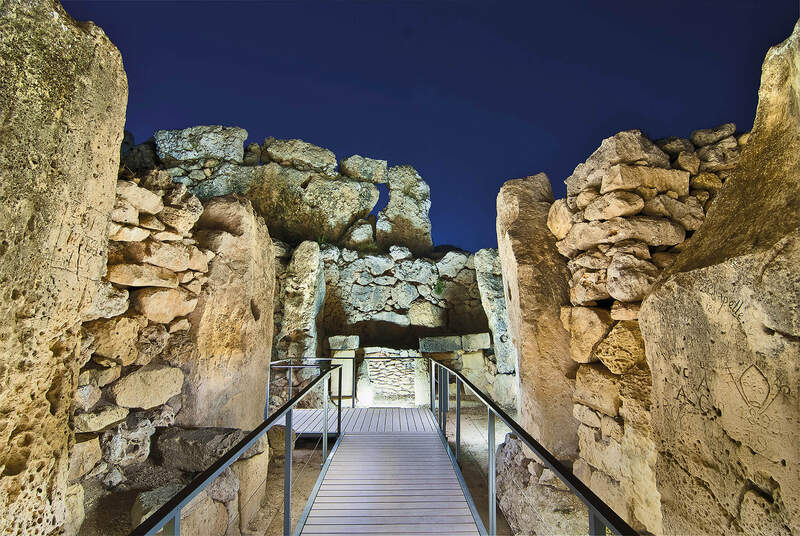 Ggantija will serve as an ideal temple for this “prayer” as the site was built for deity-worshipping and prayer-offering whilst that it is intrinsically linked, similarly to the installation, with Gozo stone. On a more profound level, the festival wishes to underline how the arts can provoke and inspire. Ggantija, like peace, is silent yet powerful and withstood time. Both the temples and P A X share the intent of seeking peace and pan-spiritual solace. Complimentary tickets for P A X be obtained from Ggantija Interpretation Centre/Gozo Museum of Archaeology(Cittadella). Entry can only be granted on presentation of a ticket as a limited number of places are available. Gaulitana 2018 is intrinsically linked with Ggantija as the sets for Norma are inspired by the temples. During OPERA+ Weekend, a guitar concert and Artistic Insights and Curator’s Tour are also planned. The festival is grateful to Heritage Malta for supporting this year’s edition. 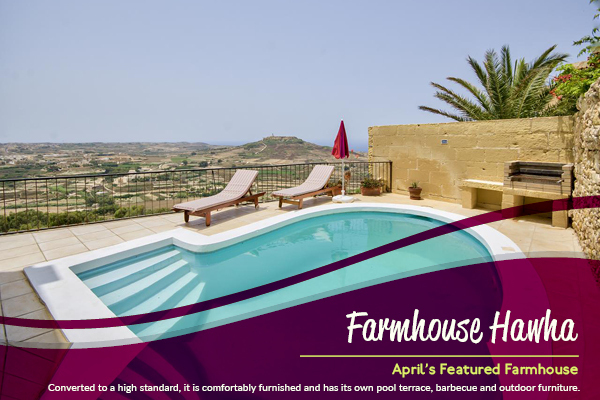 Set on one of the highest points of the Island in the quiet village of Zebbug, this house borders between farmhouses Lewza and Bambinella, it has panoramic view of the valley of Ghasri and across the countryside to the sea. Book your Gozo Holiday today!